that you do NOT want to miss. Youth 2019 is July 10-14, 2019 in Kansas City, MO. Click the link to learn more about the event OR to register your group. 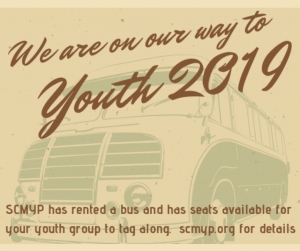 In order to encourage youth groups to attend this event, SCMYP is offering space on a charter bus at a discounted rate to help alleviate some of the cost.of the event. 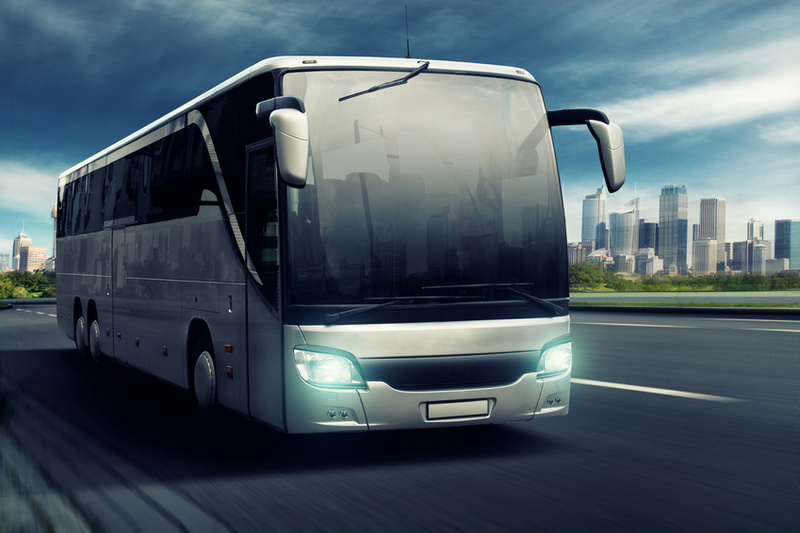 We currently have one 56 passenger bus reserved, and you can reserve spots for your group at the cost of $110 per person round trip. Transportation is on charter buses and will depart from Aldersgate UMC in Greenville on July 9th, 2019 at approximately 9 PM. We will return to Aldersgate UMC around 10 PM on Sunday, July 14th. The cost is $110 per person and will be collected through an online registration process. We have currently reserved 1 bus which can accommodate up to 56 passengers on a first come, first served basis. If the 56 passenger capacity is reached before May 1st, we will seek to reserve a second bus. Please note that you are responsible for registering your group for the Youth 2019 event AND securing hotels, etc while in Kansas City and each church must follow their own safe sanctuary policies throughout the event. If you have any questions, please email info@scmyp.org.